11 a.m. – 5 p.m. The Linneaus Garden opening hours. Travel back in time to the 18th century to experience the rustling of skirts, shining shoe buckles and artisan food. Seek out rare plants and get gardening tips at the plant market. The Keep Sweden Tidy Foundation has made the Carl Linnaeus Garden Party an Eco-Labelled Event! Event information. Welcome to the Linnaeus’ Uppsala information marquee. 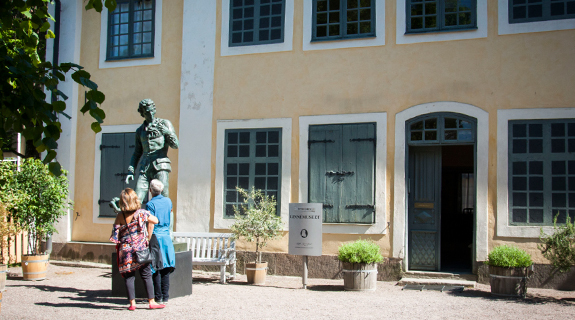 We can tell you about all the exciting things that can be experienced in the gardens during the day, and what will be happening in Linnaeus’ Uppsala over the summer. Free entrance to the Linnaeus Garden and Linnaeus Museum all day. Garden Market. Sale of products with a park and garden theme. Gardening advice and a plant market selling seed, plants and cuttings. On Svartbäcksgatan outside the garden with market stalls along the fence. The Linnaeus botanical garden. Encounter the Linnaeus Garden as it comes into bloom and is in festive spirit. Come on a guided tour of the plants that Linnaeus cultivated. Learn more about the history of the garden. Guided tours 11:30, 12:30 (with the Head Gardener), 13:30, 14:30 (in English), 15:30. Starting point in front of the entrance building (free of charge). Organised by: The Linnaean Gardens of Uppsala. Arts & Crafts Market and 18th century party. You can buy everything from gardening tools and plant pots to beautiful jewellery, glassware and 18th century themed products. 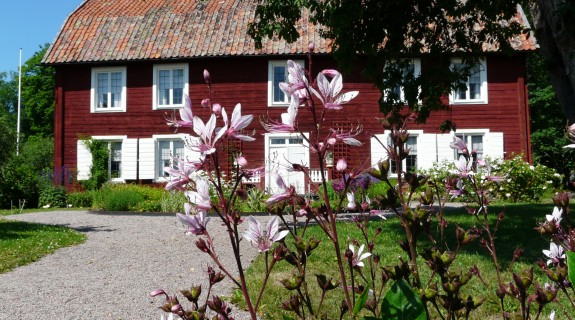 There will also be information about the garden associations, parks and gardens in Linnaeus’ Uppland region. For exhibitors, see below. What was life like at the time of Linnaeus? The Gustavian Society of Sweden (Sällskapet Gustafs Skål) is an 18th century society the members of which, dressed in their beautiful costumes, act out life at the time of Linnaeus through games and dance. Board games, horseshoe throwing etc. When all the world’s animals came to Uppsala. Through an exhibition in the Orangery, the Museum of Evolution tells the story of Linnaeus’ vision – to describe all the world’s animals. His students travelled far and wide to find them for their teacher. But which animals came to Uppsala and where are they today? Organised by: The Museum of Evolution. Uppsala’s urban farming year. Uppsala Municipality will be on site in the Linnaeus Garden to provide information about the Urban Farming Year. The theme is “Everyone can farm” and the aim is to highlight the potential for, and the positive in cultivating vegetables in an urban environment. Building a hotel and an expedition with Biotopia. Build your own bee hotel for your garden for wild bees to live in. Bees which will help with pollination. Learn about Uppsala’s eight Linnaeus Paths. Location: At the Biotopia marquee. Organised by: Biotopia. Fascinating plants Day 2017. Come and meet the researchers and students who work with plants. Carry out experiments and take a look into the fascinating world of plants. Plant your own mini garden and see what can make a dandelion curl. 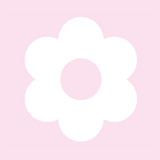 Learn more about current research into plants. 11:15 “Children frightened by ugly clothes…”. Display of 18th century costume with a focus on children by the Swedish Gustavian Society (Sällskapet Gustafs Skål). In front of the Orangery. 12:00 “… a country dance as he is made ready”. The Swedish Gustavian Society’s Child and Youth Group (Sällskapet Gustafs Skål) will be demonstrating 18th century dances and singing games. In front of the Orangery. 13:15 “… a country dance as he is made ready”. The Swedish Gustavian Society’s Child and Youth Group (Sällskapet Gustafs Skål) will be demonstrating 18th century dances and singing games. In front of the Orangery. 14:00 – 14:45 Congratulations Linnaeus! Celebrating Carl Linnaeus and the opening of the Summer Exhibition in the Linnaeus Museum. In front of the Linnaeus Museum. The celebration and opening will be in Swedish. The celebration will start with the Swedish Gustavian Society’s Child and Youth Group (Sällskapet Gustafs Skål) demonstrating 18th century dances and singing games. A welcome to the celebration by your host, Mats Block, Garden Director at The Linnaean Gardens of Uppsala. Then speeches to Linnaeus by representatives of Uppsala Municipality and Uppsala University. A speech of thanks by Linnaeus. 14:30 Guided tour of the gardens in English. Starting point in front of the entrance building/museum shop. 14:45 “From Newcastle to Örebro”. The dance group Branicula from the Swedish Gustavian Society (Sällskapet Gustafs Skål) will be giving a display of English and Swedish 18th century partner dances. In front of the Orangery. 15:00 Inauguration of the Urban Farming Year – Everyone can farm! The Urban Farming Year will be inaugurated by Maria Gardfjell (Green Party), city councillor with responsibility for nature and the environment. In front of the Linnaeus Museum. The inauguration will be in Swedish. 15:45 “From Newcastle to Örebro”. 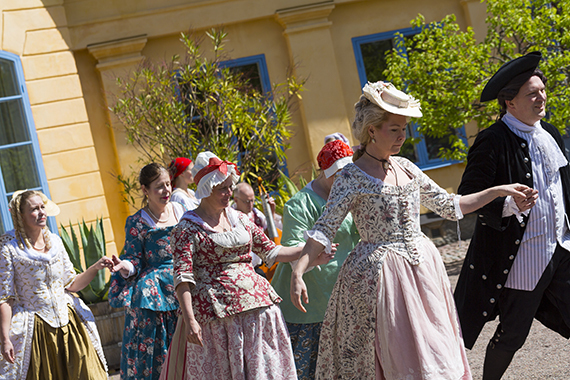 The dance group Branicula from the Swedish Gustavian Society (Sällskapet Gustafs Skål) will be giving a display of English and Swedish 18th century partner dances. In front of the Orangery. 16:15 “Among the clothing of women…”. Display of 18th century costume with a focus on women’s clothes by the Swedish Gustavian Society (Sällskapet Gustafs Skål). In front of the Orangery. Linnaeus’ Uppsala. The event on 20th May is a collaboration between Uppsala University, Uppsala Municipality, the Swedish University of Agricultural Sciences, the Swedish Linnaeus Society and Destination Uppsala. 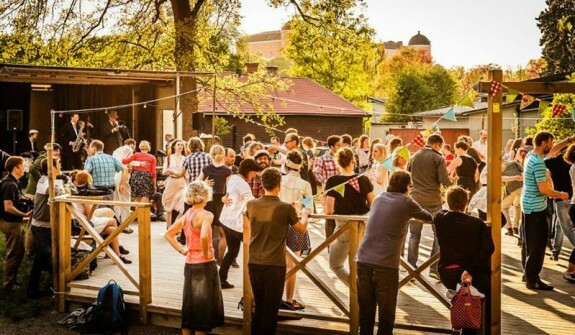 Also contributing to the organisation are Biotopia, the Museum of Evolution (Uppsala University), the Linnean Centre for Plant Biology in Uppsala, the Gustavian Society of Sweden (with their child and youth group and the Branicula dance group). By the Keep Sweden Tidy Foundation. There is a wide range of cafés and restaurants in the area around the Linnaeus Garden. Walking distance to the travel centre (Resecentrum), about 600 metres. Svartbäcksgatan between S:t Olofsgatan and Skolgatan. Follow the temporary signs. The event will be well signposted and we will have hosts at the barriers. The Uppsala Tourist Centre is located in central Uppsala at Kungsgatan 59 next to the travel centre. Tourist information staff can answer your questions and provide you with ideas about current events, attractions and activities in Uppsala and the county. You can also get help booking accommodation and finding maps and brochures. We reserve the right to make changes to the programme where we have not been notified prior to the publication of the website.